Over 700 Boko Haram insurgents have surrendered – Buratai – Royal Times of Nigeria. The Chief of Army Staff, Lt. General Tukur Buratai on Monday disclosed that over 700 Boko Haram insurgents have surrendered to troops of Operation Lafiya Dole in Borno, Vanguard reports. According to Buratai, the insurgents surrendered following the constant raid of suspected Boko Haram hideouts in the nooks and crannies of Sambisa Forest by the Nigerian Army artillery long range guns, supported by air assault. 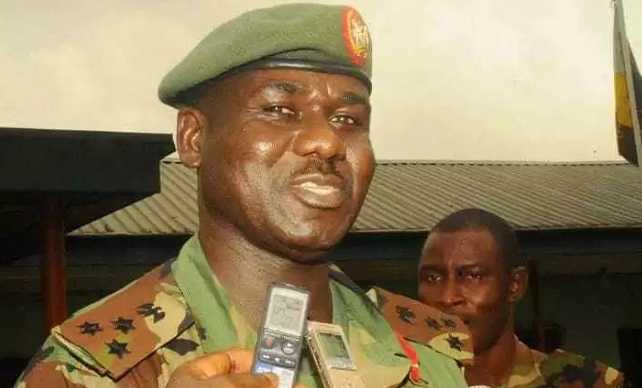 Adding that more terrorists were in the process of surrendering, Buratai said it is a welcome development that will bring a sigh of relief to many Nigerians. He said; “It is a clear indication that the war on insurgency and terror is clearly being won. I want to congratulate not only our gallant troops and indeed the Navy and Airforce but all Nigerians. “The terrorists are surrendering because of the concerted efforts of the Nigerian military. They are in total disarray, they are hungry and are looking for a way out.